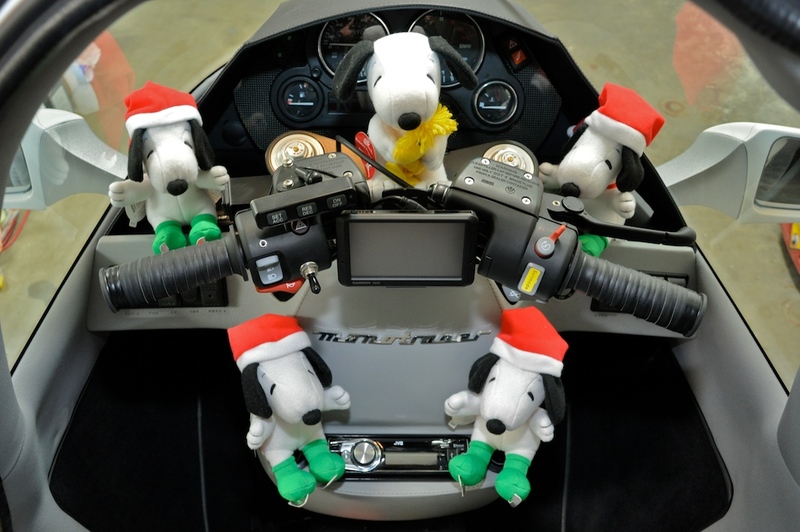 Santa Snoopies and Woodstock wishing you a very Merry 2010 Christmas and Holidays from their very fast and fun MonoTracer sleigh. This entry was posted in Peraves and tagged Christmas, DJ, MonoTracer, Pilot, Santa Snoopies, sleigh, Snoopy. Bookmark the permalink. Those Snoopy Dogs look like they are having “almost” as much fun as I did in my 30-mile glide in the MonoTracer E with Stefano. If you’d enjoy a ride in a space craft, then beg, borrow or steal a ride in the all-electric MonoTracer E.